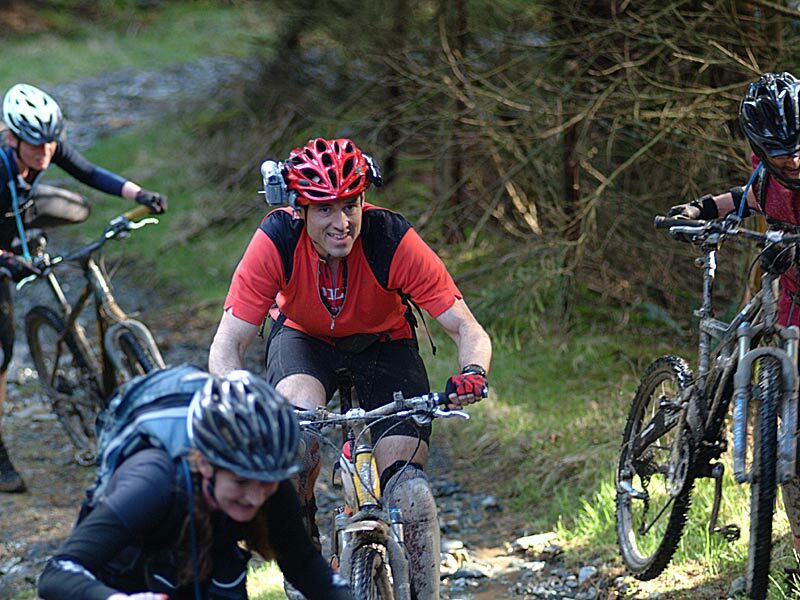 The Mawddach Goldrush mountain biking event will take place on the Coed y Brenin trails on 7th March 2010. I believe that the course has been finalised and hopefully approved. In 2009, there was a last-minute panic when it looked liked the event would have to be called off. It turned out that the group running the event didn’t have permission to use some of the roads which made up the route. This year it seems that there is more single track, off-road sections which has hopefully solved the problem. The Challenge takes place over 3 laps, but don’t worry if you don’t think that you are up to 45km ride. It is possible to complete the Challenge as a relay team as well as solo. There are lots of fun prizes and everybody who finishes has a chance of “finding” the £100 pot of gold “hidden” somewhere on the trail. For those of you who don’t know it Coed y Brenin sits on a famous gold seam which has produced the gold for Royal wedding rings as well as for us mere mortals! It’s possible to pan for gold in the area… but that’s another blog! Facilities are good and on-site catering is being provided by Aran Lamb (Margaret and Maldwyn) who make the most wonderful lamb burgers. If you love lamb drop in at their farm at Llanuwchllyn near Bala and buy some to take home. Or order some to be delivered… Anyway I digress!! We at Cadair View Lodge are probably the nearest group accommodation to Coed y Brenin Visitors’ Centre and our accommodation has been recommended by What Mountain Bike magazine whose staff have stayed with us on a number of occasions and who featured us in an article last January! See our website www.cadairviewlodge.co.uk We can accommodate around 140 people each night and with a pub (that serves food) on site there’s no reason to look any further. We will be offering free late stays on the Sunday (usually £25) so that you can leave all of your belongings in your cabin until you’ve finished the race. Categories: Mountain Biking | Permalink.